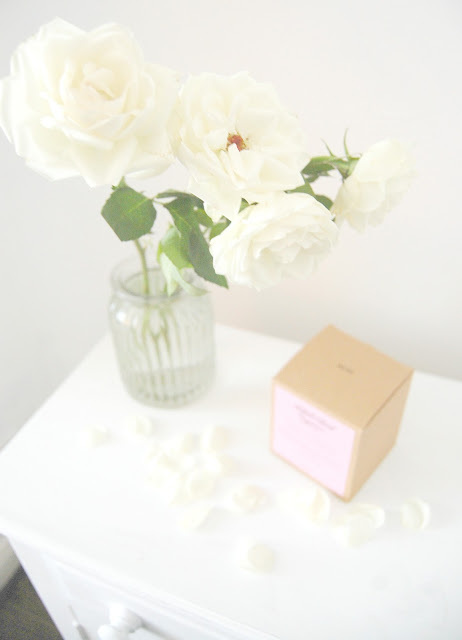 I mentioned in an earlier post that I did about Wishwant's gorgeous gift selection that I had chosen myself a little Mums day treat, and yesterday it arrived on my doorstep! 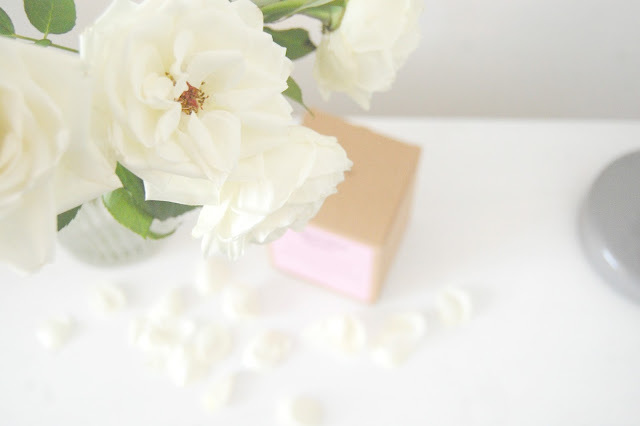 After having a little read about the company I was impressed by the process that goes into creating her lovely products and values of this Sheffield based company. 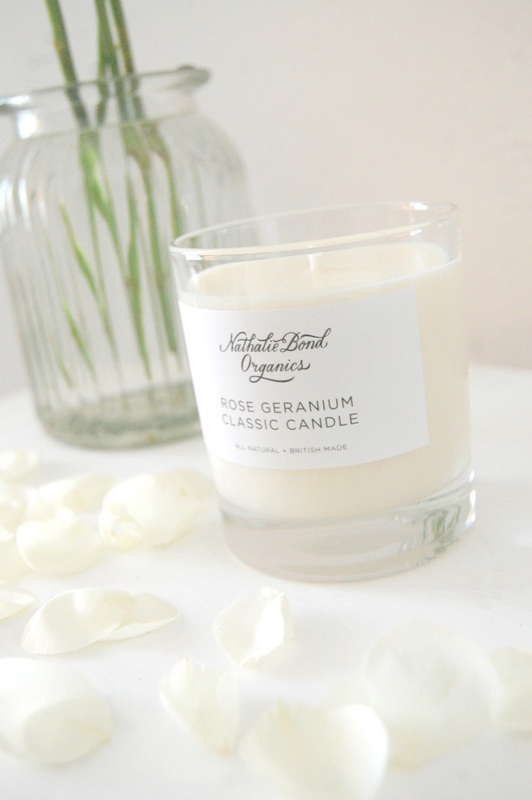 All of Nathalie's skincare and candle range is made using raw, organic plant materials which contain no synthetic chemicals and aren't tested on animals. 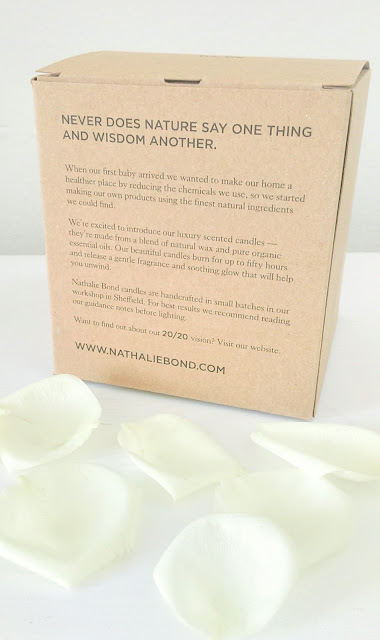 As a mum, any products you don't have to worry about being full of nasties around your little ones is always a winner and its wonderful to know that the product you are buying has been created with care and respect towards nature. It's a great reason to support independent business owners knowing the effort and attention which goes into the products that they make. So I was looking forward to this arriving and seeing how it fared against normal scented candles. Plus I love anything containing Rose so this did sway me! The candle is a lovely size (230g) and burns for 50 hours. 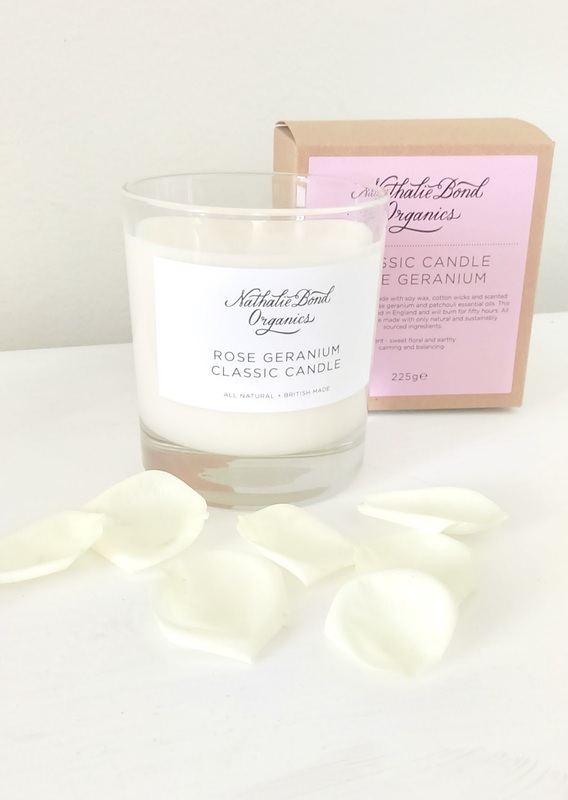 Like a mixture of Turkish Delight with fresh roses and geraniums. The Rose is definitely the major note in this combination, on the whole it has a slightly sweet smell but then a beautifully fresh floral scent behind it that stops it from being heavy and lifts it into spring time. 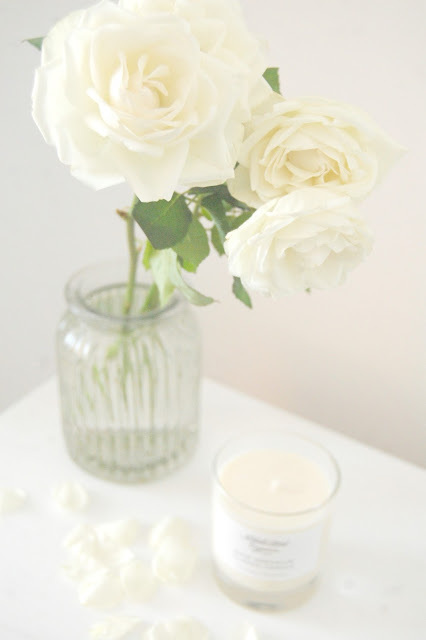 I love how it is not overbearing and doesn't overpower the room with fragrance. 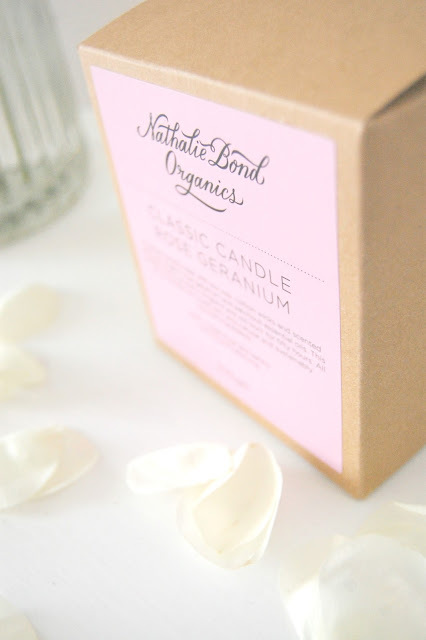 I love my Nathalie Bond candle- it has been the perfect treat. Until then it is making my living room smell perfectly spring-y!